Plastics have enabled to convert seemingly unproductive lands in modern farms. To learn more about close all applications, today, and forecasts for this sector, as well as to manufacturers of plastic for applications in agriculture, the 18th International Congress of Cipa, Cidapa, organized by the Spanish Committee of plastics in agricultureCepla, is a key appointment to be held in Almeria, from 23 to 25 November together with the agricultural fair Agro Expo. The information below is part of the informative brochures and website of Cepla. A clear example of this is the province of Almería, which, of subsistence farming has come to have a large concentration of greenhouses that make model of the agriculture in many parts of the world. The plastic plays a key role in agriculture. Image Cepla. Farms used the technique of padding to save water, most early harvests and age, better health state and commercial aspect. This system has favourable effects on the soil and the environment, such as: moisture conservation, maintenance of a good structure, better use of fertilizers, protection of plants, reduced number of damaged fruits and elimination of weeds when using opaque plastic. Formerly the padding was directly associated with the empajado, currently the plastic has shifted completely to the debris used for this purpose. The technique of the padding is applied in two ways: full padding and the partial. The two have variants. The plastic has shifted completely to vegetable waste for this purpose. Novamont image. Floating decks are sheets of plastic materials (polyethylene, polypropylene, polyester...) which are placed on cultivation after sowing or planting, in such a way that they are supported by it, raising its growth. The use of floating decks - also called 'thermal blankets' - create a microclimate favourable to the plants at a time and area of growth and thereby, favors a more homogeneous quality, larger calibers and some early (1 to 2 weeks). It also affects the health of crops and decreases the need for plant protection treatments. The floating deck is a method of protecting crop and forced, low cost and easy to use. The small tunnels, together with padding are two crops forced more traditional techniques. The sheets of flexible plastic, polyethylene or EVA copolymers mainly for its lightness and flexibility adapt perfectly to semicircular and simple structures that produce the greenhouse effect desired in crops of low size. The insolation increases the temperature and humidity under these small structures to improve the microclimate. The small tunnels have as their primary goal increasing earliness in the plantation. In the interior of the tunelillo, the level of protection against cold, wind or frost will depend on the chosen polymer. They also have a positive effect on pests and diseases and achieve a better use of fertilizers and irrigation. A greenhouse, can be defined as a construction which allows to optimize control of weather conditions and crop that develops agricultural exploitation. The structure consists of a room whose walls and roof are made of plastic materials that filtered the sunlight that enters and leaves him, and so isolated from the outside. The greenhouse effect is that the plastic film cover allows the passage of the radiation emitted by the Sun, which is responsible for the greenhouse warming and prevents the output of the radiation emitted by the ground, which is responsible for the cooling. In general greenhouses protect adverse weather conditions, plants, as hail, rain, wind, Frost and allow farmers to obtain more and better crops, and, what is very important to cultivate in periods and areas in which years ago seemed impossible. The greenhouses have been extended by many areas of the world, and the main function that meet the plastic covered different, according to the characteristics of the environment in which they find. The farmer must seek a balance between the duration of the film and the loss of benefits that it can have over time. In this sense the choice of a film suitable to the area is essential for the originating in the film properties are maintained as long as possible. The covers are made of plastic materials that filter the solar radiation. Image of Cepla. The use of plastics has also been introduced on the farms. These new uses of plastics include the ships deck and enclosure of livestock, as well as silage systems. In this field of application is evolving towards a more specific machinery for envelope and closed to the vacuum of the bales. The material most commonly used in the agroganaderas buildings are coextruidos composed of black and white polyethylene films. The white layer is situated abroad, and the Black opaque in the interior. The technology of the machinery used for the films is developing at the same time appearing in the plastic market more specific for agricultural applications. The efficient management of the water used in agriculture is based on the modernization of irrigation systems and currently it is not conceived without massive use of plastic materials. In the agricultural field is where the use of plastics has meant a major transformation, mainly in irrigation. Plastic materials in general, and more specifically pipes of PE (polyethylene), are used as a valid alternative, both in the primary conduits for the transport as in the secondary distribution networks and the branches of the localised irrigation to bring water from cultivation. 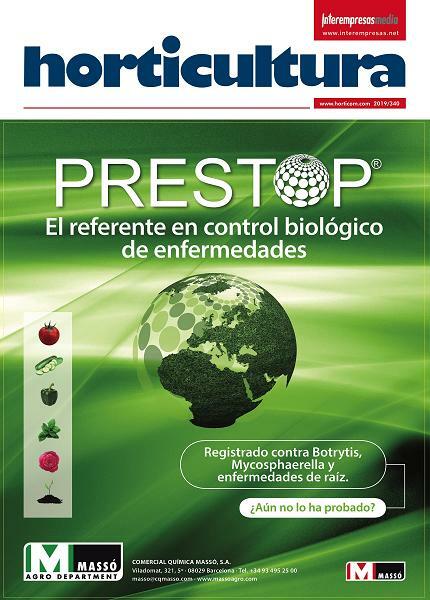 New technologies applied to the horticultural crops include the introduction of crops without soil' developed by the need to improve the nutritional control of plants and dispense with very contaminated soils. Hydroponic crops have a great productive potential, but requires knowledge and skill in handling. These technological innovations developed in horticulture in the 1980s were based on the use of plastic materials, primarily made of sheet of polyethylene coextruida. Cultivation is carried out in bags of substrate, e.g., perlite, rock wool and others, acting as a substitute of the soil. Worldwide it is estimated that there is a volume of 18,000 million m3 of water accumulated in small reservoirs impermeable by means of the use of plastic sheets, distributed between Europe, America and North Africa most. The use of the plastic sheets for waterproofing of the ground and water accumulation has undergone a large expansion around the world and the process still not yet completed, because it evolves at the same time the growing shortage of rainfall in areas of cultivation with mild climate. Today, investment in large hydraulic infrastructure, reservoirs and channels seem economically unsustainable, favouring the emergence of small localized investments that take advantage of the surplus of water concentrated in short wet periods. System of waterproofing works hydraulic Catalonia, SA. The application of mesh in agriculture has two well-defined slopes which are the production, and post-production and packaging applications. The materials with which meshes and tutors are manufactured are fundamentally, polyethylene of high density and polypropylene; These can be woven or extruded. Spain or Italy, for example, is used in most mesh woven that the extruded; However in United States the trend is the opposite. There is also a certain amount of mesh to the packaging. Another application of large volume of use of plastics in the world is the packaging. The plastics used for packaging, in the case of the agri-food products, is not provided from a point of view statistician, in books, journals and manuals relating to agricultural plastics, however, the post-recolección and packing of fruits, vegetablesflowers and nursery plants use lot of plastic materials. The best example of this are the boxes used in the production and trade. There is currently a logistics chains of rent of boxes; allowing the marketing of fruit, flowers and vegetables and the subsequent return of the boxes empty and folded, reducing the volume of transport and to facilitate cleaning. After the useful life of the plastics used in agriculture, greenhouses, tunnels etc., these become waste that are necessary to retrieve, send it to landfill means a loss of valuable resources. A large part of the residue from the padding and tunnels keeps still good properties, can be recycled mechanically; There are facilities where already recovering, although recycling is complicated. Instead waste of full-length films, from covers of greenhouses have endured a more solar radiation, so they are more degraded and this makes it difficult for mechanical recycling, so it is necessary to opt for other systems of valorization. The actions carried out in Spain, among the clean-up campaigns and raising awareness of farmers, the enactment of municipal ordinances prohibiting the uncontrolled burning or the abandonment of these residues. There are five plants for the recycling of these plastics waste in autonomous communities of Andalusia and Murcia. As a complement to this mechanical recycling a group of companies formed by Ciba, Dow Chemical Ibérica and Repsol-YPF has successfully developed a process of energy recovery of plastic waste from greenhouses, through a process of co-firing in a thermal power station of pulverized coal. Proper management of waste, within an integrated management system, use the various options for certain local conditions. The Spanish plasticulture is one of the largest in the world, and Andalusia autonomous community, where most widespread is the culture under plastic. It concentrates 73% of the padding area, 67% of the small tunnels and 70% of the greenhouses. The 'sea of plastic"of Almería can be seen from space. Almería is the largest concentration of greenhouses in the world, some 27,000 has been covered by plastic that form its famous sea of plastics. Sea that has made possible the production of vegetables in virtually desert territories. And with this province appear new 'small Almería' such as Murcia, Granada, Canary Islands... with what the total surface of greenhouses in Spain is, around 50,000 has, according to data provided by Cepla. How may it affect the structure of my greenhouse to plastic? The design of the greenhouse (Chapel, tunnel, parral, etc.) as well as materials used in its structure (wood, iron, concrete, etc. ), the State of oxidation of the wires, the setting of the film, ventilation and the height will be factors that will directly influence the lives of the film. It is important to protect the film at the points of contact with the structure, as well as keep in good condition the wires and structural materials to extend the life of the deck. A proper height and good ventilation will also be factors that will help to achieve the guaranteed life of plastic. Can plastic cover affect the mink of pollinators? The vast majority of the newly installed plastic until (his fourth or fifth month of winter and second life) or third month in the summer has strong absorbers of solar UV radiation to ensure its duration. Pollinating insects use part of these solar radiation to see, so the use of pollinators after you install the plastic may cause some initial disorientation in them. Pollinating insects use part of these solar radiation to see. Picture of Andre Müller. How it affects the use of agrochemicals to plastic? Plastics are plastics and other chemical materials like pesticides, fungicides, insecticides, etc. can do they interact with them, affecting the effectiveness of UV stabilizers, responsible for the greater or lesser duration of cover. To prevent premature deterioration of the cover due to agrochemicals, it is advisable to follow certain recommendations. The Spanish Committee of plastics in agriculture (Cepla) organizes the 18th International Congress of Cipa - 11th International Congress of Cidapa, a meeting point for experts whose discussion will focus on the future of plastics in agriculture. The Congress will be held from 23 to 25 November 2009 in the framework of Expo Agro-Almería, the fair international of business of the industry food of the Mediterranean, which every year takes place in the province of Almeria, where the use of the plastic as an agricultural tool has been more dramatic consequences for economic development. The program includes two days of oral plenary sessions and various poster, and a session to be held in a technical visit to different agricultural facilities. 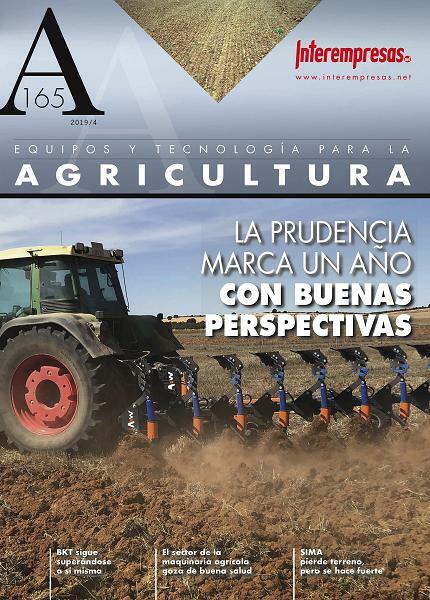 Among other issues, the Congress will focus on agricultural plastics, on the situation of the greenhouses in other countries, the characterization of the horticulture protected in Spain, new additives for the stabilisation of agricultural films, compounds of biopolymers for blown film applications or biodegradable plastics. The Government of Navarra will support with 425.000 EUR the use of biodegradable plastic in agricultural crops of the Foral community during 2009. 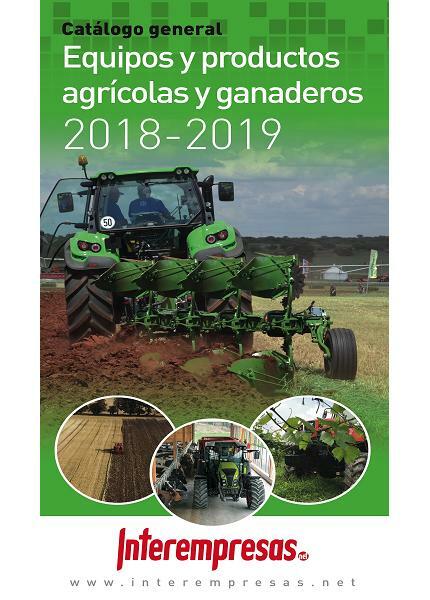 In addition to the economic benefits and quality of this material, it has environmental benefits, because it is a savings and improvement in the management of water and a reduction in the use of fertilizers, pesticides and herbicides. For get this grant, applicants must be in possession of an installation included in the register of agricultural holdings of Navarre, which is considered as SMEs, to dispose of a surface minimum host to this line of aid of a hectare, and use biodegradable plastic across the surface in which use of the technique of padding, always to the kilograms of plastic used per hectare are equal to or greater than 150. The deadline to apply for these grants is open until 23 September next.